Please understand that you are ordering a custom pickleball paddle made to your exact specifications and, as such, orders can NOT be cancelled for any reason. Each paddle is made to each individual's choice of model, shape, weight, color combinations and personalization and therefore are not suitable for sale to any other person. Normal production time is at least 3 weeks. Rush Production Orders have a 5 business day turnaround time starting the day after the order has been received. Rush Production means you jump to the front of hundreds of people before you. As cardholder on this order, I give my express permission to Third Shot Drop to ship my order to the shipping address specified by me on this order in cases where orders are to be shipped to addresses and persons other than the cardholder and billing address. This agreement is governed under the laws of Nevada. The parties agree that any claim, dispute or other difference between them that shall be exclusively resolved by binding arbitration pursuant to Commercial Arbitration Rules of the American Arbitration Association with arbitration to occur in Las Vegas, Nevada. As you browse ThirdShotDrop.com advertising cookies will be placed on your computer so that we can understand what you are interested in. This enables us to present you with retarget advertising on other sites based on your previous interaction with ThirdShotDrop.com. The techniques our partners employ do not collect personal information such as your name, email address, postal address or telephone number. You can visit this page to opt out of AdRoll and their partners’ targeted advertising. Send us an email to info@ThirdShotDrop.com and give the name the paddle is to be shipped to and the date the order was placed. SIGN EVERY EMAIL WITH THE FIRST AND LAST NAME THE ORDER IS TO BE SHIPPED TO SO WE KNOW WHO YOU ARE. If you have customer service questions or want to check the status of your order, please send mail to info@ThirdShotDrop.com. Inquiries on bat delivery status will ONLY be addressed by email. Paddle status questions can NOT be handled by telephone. Please understand that you are ordering a paddle custom made to your exact specifications and, as such, orders can NOT be cancelled for any reason. Each paddle is made to each individual's choice of model, shape, weight, color combinations and personalization and therefore are not suitable for sale to any other person. Our phone number is FOR ORDERS ONLY. If you want the absolute fastest service on order status, problems, questions or any issues other than ordering a paddle , you MUST send an email. We answer every email every day. We spend as little time on the phone as possible so we can spend our productive time making the best paddles on the market. All orders are tracked by the name the order is being shipped to. Please tell us the first and last name your order is being shipped to in every e-mail so we can best help address your issue. Questions about an order? Problem with an order? Wondering where your paddle is? Any other issues? Email us: info@ThirdShotDrop.com. DO NOT CALL THE ORDER LINE FOR CUSTOMER SERVICE. Your call will not be returned and your question will not be answered. That line is for placing new orders only. Please email us: info@ThirdShotDrop.com for any and all Customer Service issues. This is how we can help you most quickly and effectively. All orders are tracked by the name the order is being shipped to. Please tell us the first and last name your order is being shipped to in every e-mail so we can best help address your issue. Every email is answered every single day. If you do not receive a reply in 24 hours it means your email did not get to us. Please use the email address you entered when you placed your order to contact us. Please sign your email so we know who you are. We track orders by the name the paddles are to be shipped to so please use that name in your email. Normal production time is 3 weeks. THESE ARE CUSTOM MADE TO YOUR SPECIFICATIONS! These are not off the rack one size fits all paddles. 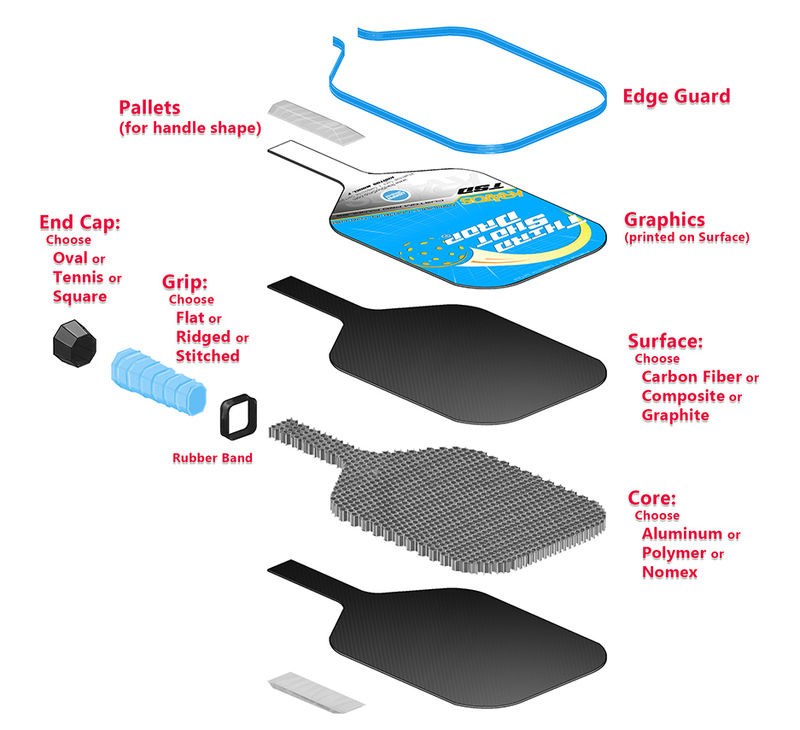 With over 35 customization options, you can see how much work goes into a custom paddle. Each paddle goes through quality control at each step and about 20% don't make it from start to finish for one reason or another. When you receive your paddle you will see the care that goes into making it is like no other paddle made anywhere. For all that, we ask your patience.